Imagine that you have millions of favorite songs in your computer with incorrect album art or without a thumbnail, they will look very messy. It’s true especially when you want to pick one you want to listen to. You’ll find it’s very difficult because of the lack of album art. And forget about organizing them by artist, album or genre or having a cooler view. If you are coming across the same problems, take these tips we advised in this post to change album art or add one over the song. 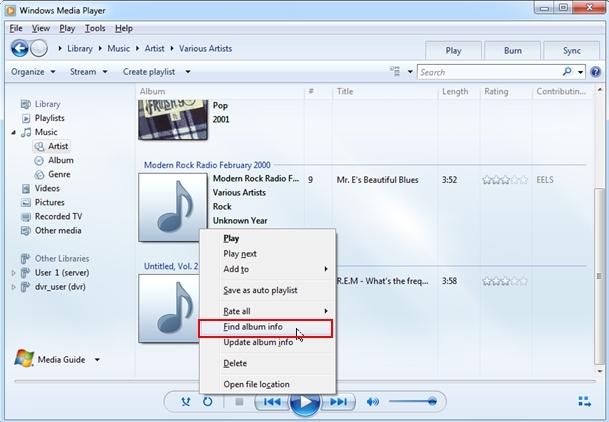 If you are using a computer or a laptop that runs Windows platform, the most appropriate and straightforward way is to use the preinstalled Windows Media Player. This program is able to find the matched album info from the internet and download it to the computer automatically. In other ways, you need an internet access to make it work. Open the Library view in Media Player at first and you can scroll down the music library to find the song you want to change album cover. If the song doesn’t have album art, it will have a music note. 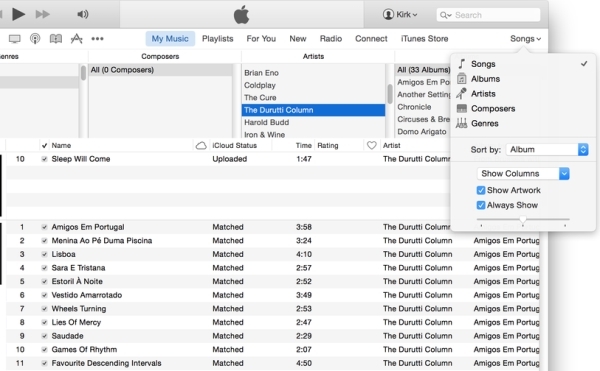 Right click the song and choose the “Find album info” from the context menu. The player will search its database online to find the cover that matches the song. If it finds one, it will download the official album art to your computer automatically. If not, we can manually add the cover. We can google its official album cover and save it to our computer. Note that you should make the image 600×600 pixels, which will ensure the image display well in the player. You can then copy the image and paste it to the album. When you check the album, the cover won’t show instantly. It needs a while to apply the album art. If you are on a mac, you can make use of iTunes to change album art instead of looking for an available app from the App Store or the internet. Like Windows Media Player, iTunes is also able to find the album cover from its database. Generally, songs bought from iTunes Store come with their own album cover but you can also replace it with other preferred artworks. But you should know that if the song is a WAV file, you gave to convert it to another format before you go further into how to change album art. To apply a new artwork to the album via iTunes, you should firstly put the music item to the iTunes library and then select it and choose File > Get Info. Click “Artwork” and then click “Add”, a window will pop up to let you select an image and then you click “Open”, the image will attach to the song permanently. 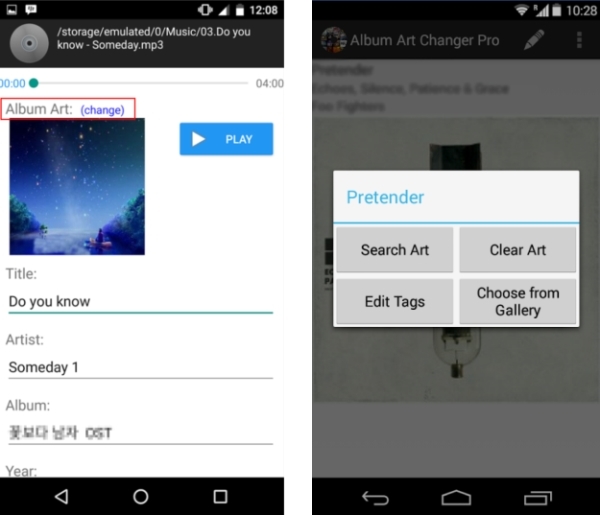 Well, if you are an Android user and want to change the artwork on the smart phone, you can use a free app called “Album Art Changer”. You can download it from Google Play directly. This app cannot only add album cover, but also edit the track details like the title and artist. Once you installed the app, open a song in it, tap the “Edit” icon at the upper portion of the interface and a window will appear. Click “Edit Tags” in that window, all details of the song will displayed. Scroll down to the bottom, you will notice 3 album covers there, tap one image and it will be set as the album cover. Tap on the diskette-like icon at the lower right area of the program to save the changes you made and your song will be covered with a new artwork then. There is also a very powerful paid program can change album art. It doesn’t require a internet connection. And you are not forced to use images available in the program or searched from the internet. You can totally create your own-style album artwork, change title, apply special effects, write what you want on the artwork, etc. We can benefit a lot from this album cover changer. You should download the program from its official website or by clicking the download button. 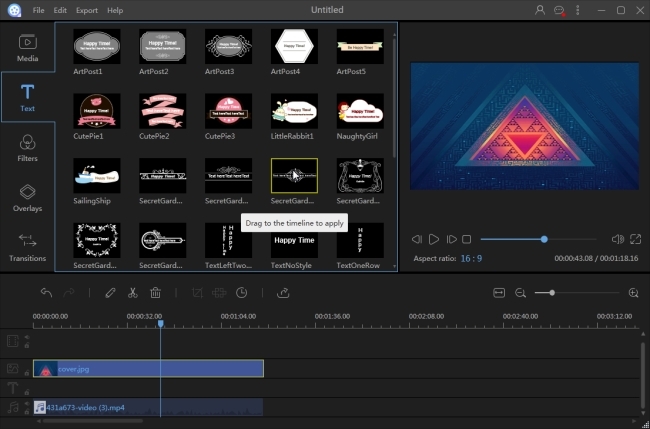 After that, import the song as well as images you want to use into the Media Library. Drag them to their respective tracks in the below timeline. Enlarge the image to fully cover the black screen and you should set the duration matched with the song. Select the image in the track and apply the effect by clicking the “Edit” button on the toolbar. To add some texts over the image, you can click “Text”, choose one style you like and drag it to the timeline as well. When you are satisfied with all settings, you can click “Export” to save the file to your computer. 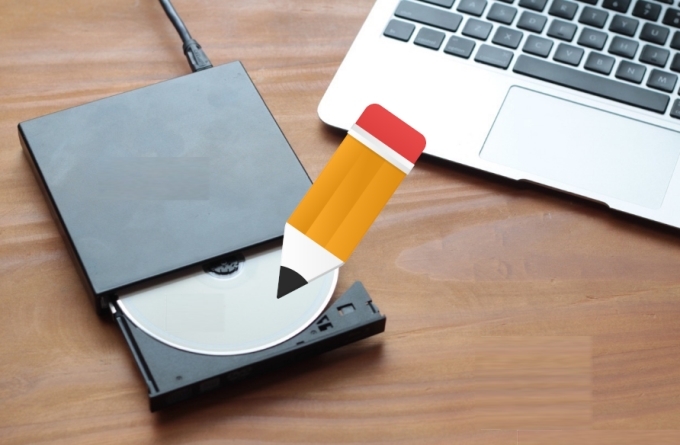 We suggest so many methods for users who have different type of devices. If you like one of them, do not hesitate to share it with others who need them. You can also write to me if you have any other recommendations. I’ll keep updating this list.